FG apoints Abdul Zubair acting DG of SEC – Royal Times of Nigeria. The Federal Government on Sunday said Abdul Zubair has been appointed as acting director-general, Securities and Exchange Commission (SEC). It could be recalled that Minister of Finance, Kemi Adeosun had suspended the commission’s boss, Munir Gwazo. Gwazo had been accused of fraud and financial impropriety. 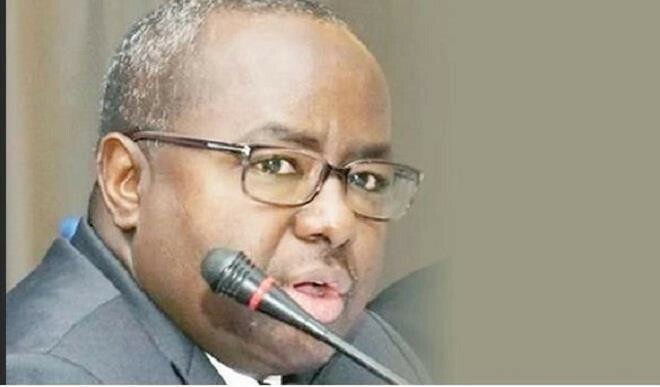 She also suspended two other senior staff of the commission: Abdulsalam Naif Habu, head of media division; and Anastasia Omozele Braimoh, head of legal department. Efe Ebelo of the commission’s corporate communications unit, in a statement, said the appointment was with immediate effect. Ebelo said the SEC would continue to ensure the stability of the Nigerian capital market and sustain the all-time high level of investors’ confidence. She added that recent developments in the commission would not be allowed to disrupt its regulatory effectiveness and efficiency as statutory regulator of the capital market. She said, “This is strictly in line with the objectives and principles of securities regulations as set out by the International Organisation of Securities Commissions (IOSCO), to which Nigeria is a signatory,”. Ebelo said the commission patiently awaited the outcome of the assignment of the Administrative Panel of Inquiry set up by the Minister of Finance to investigate the allegations against the former boss. Until his appointment, Zubair was the director in charge of external relations in the commission.